If you loved REAL then you will love MINE, if you are a Remy lover, then you will definitely love MINE. I did…soooooo much! It was great to be back with my number 1 BBF, yes I am a Remy-a-holic, yes I love him unconditionally, flaws and all, but he is adorable and he doesn’t change in this book. In fact you will fall in love with him even more if that is at all possible. His devotion to Brooke never falters, in fact he does things in this book that go way above the expected and some of it was very hard to read about. You can tell he loves her and you know that she loves him. Sometimes the edges get a bit blurred and I feel that each still let their insecurities surface a bit, but you can’t deny that they totally and utterly love each other and that is portrayed beautifully through this book. Firstly, I will say that this book is not perfect, there were a couple of things that niggled me, but not enough to detract from my enjoyment of the book, but I know that other reviewers will pick up on it and mention them. Firstly, Brooke has a major personality break down halfway through this book, although this annoyed me, I could see why and I understood, but it was painful to read sometimes. I just wanted to slap her about a bit and tell her to grow up and get her back bone back and get out there and do what she does best…keep Remy on the straight and narrow!! If not, I would quite happily trade places with her!! Secondly, Nora, I could understand why this plot line was revisited but personally I would have liked to have seen something different. But these two items did not spoil it for me at all, because I totally and utterly loved it! I mean really, truly, utterly loved it! 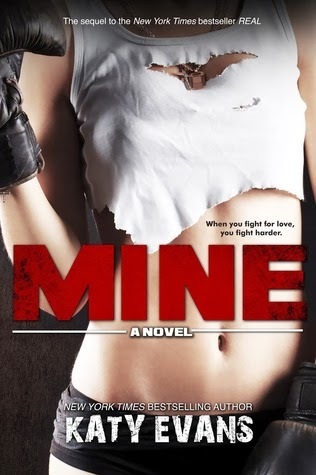 This book centres around the new Underground Fighting Season and now that Remy and Brooke are back together his head is in the right place…he is fitter, more ripped, faster and hell bent on revenge. He wants that title back, after all it should have been his from the start and if it wasn’t for Nora, it would be. Having Brooke back, brings calm back into Remy’s life and we are treated to all of our Remy’isms, the smelling, the licking, the music, he is just totally ADORABLE! But and that is a big BUT, as we know, life never runs smooth and as always Remy and Brooke always seem to be in the middle of it. Something happens and they are forced to spend time apart, and this is NOT GOOD! Can their relationship survive? Can they both overcome their fears and insecurities? Will Remy stay Blue or will he go Black? All these things make for an emotional, angsty ride and I could not put the book down. I had tears, I was emotional, I was screaming at the kindle and I was definitely cursing Katy Evans but if you feel that way reading a book then you know that the author has done her job. She has made you FEEL! Once again, I can’t say too much as it will spoil it, but this is a must read for us Remy fans and if you haven’t met our Remy yet, why not? He is an amazing alpha that will have you salivating for more, you will want to mother him and nurture him and a WHOLE lot more!! He will embed himself into your heart and you will never want to let him go, he is broken, he knows it but he deals. He puts himself into situations that you couldn’t even dream about in this book and that broke me. It hurt to read and I just wanted to be there with him and hold his hand, play songs to him and help him through. Once again Katy, you have put me through the wringer, but I have survived. I am even more in love with Remy than ever before and I didn’t think that was possible. Loved the sequel, you didn’t let our man down at all!! I can’t wait for REMY, just to be inside his head is going to have me falling apart! Seriously though readers, this is a brilliant series and Katy has done a fab job in bringing Remy into our lives, he has captured the hearts of many and deserves every single one of them!